While our knowledge of fasting used to be restricted to religious practitioners and hunger strikers, nowadays everyone is talking about wonders of restricting their regular meals. Although fasting can play a big role in healing our bodies, in nutrition world for every study showing health benefits of fasting there is another study showing detriments. Does it mean you should avoid fasting no matter what ? Personally, I don’t think our bodies were designed with the aim to be fuelled every two hours, it’s rather a modern lifestyle indulgence than the necessity. I’m not saying that frequent balanced plate of food is bad for you, but our palaeolithic ancestors didn’t have a luxury of having a meal every 2-3 hours, yet they still enjoyed better physical health than most of us today. While intermittent fasting can be simply explained as an eating pattern where you cycle between periods of eating and fasting, there is no universal definition of intermittent fasting. For some, it might mean having 2-3 days a week of not eating anything for 24 hours, while the others will fast for 18 hours and have 6 hours eating window every single day of the week. Some people will even label 3 days water fasting performed on the weekly or monthly basis as intermittent fasting. Determining if fasting is good or bad for you will depend on many things. Remember something that can be a life changer for you, might be a nightmare for your neighbour. Your goals, fitness, health condition, gender, all these will have an influence on what type of fasting will be beneficial for you and what kind of effect it will have on your health. 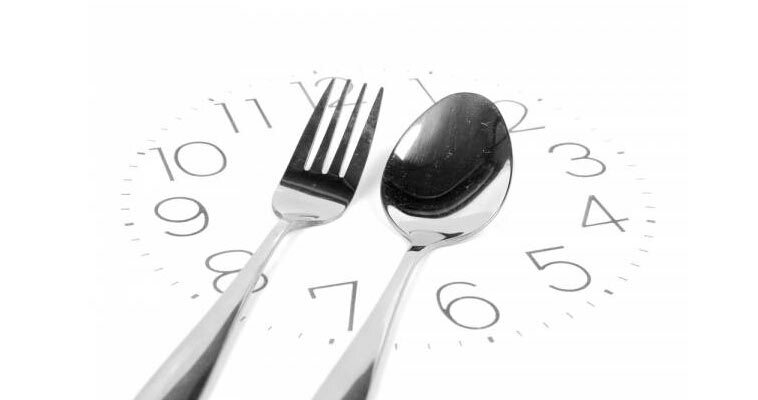 While fasting can have many benefits for your health, certain conditions (liver, kidney problems, compromised immune system functioning, certain medication) might be a contraindication to intermittent fasting. Fat burning…One of the most compelling benefits of intermittent fasting. In fact some studies showed that loosing fat through fasting protocols are more sustainable than through conventional calorie cutting diets. One study found that fasting produced rate of 4-15% fat loss in overweight individuals. Another review of the use of the intermittent fasting protocol in athletes showed that 18 hours fast and 6 hour eating period increased fat burning by 50% corresponding to the similar decrease in glucose utilisation. It is recommended to eat diet moderately high in fat to improve fat burning in the body, consume high-quality protein to sustain lean muscle and phytonutrient fruits and vegetables for fibre and their anti-inflammatory properties. Intermittent fasting reduces food cravings and hunger while regulating your digestion and promoting healthy bowel function improving metabolism and brain function. Besides burning fat and increasing metabolism, greater metabolic flexibility associated with intermittent fasting may help prevent the loss of lean muscle mass often seen with low-calorie diets. According to Dr Varady, intermittent fasting shows only 10% loss of lean muscle mass in the Obese population, while calorie restricted protocols show 25% in the same population. Restoring insulin sensitivity, lowering glucose and belly fat is the blessing for your cardiovascular health and diabetes prevention. If your cells are insulin resistant your body will more likely store the food as fat. Insulin resistance will also produce inflammations inside your body leading to a number of health conditions which only a madman would want to deal with. In the 8 week trial that employed 3 days fast alternated with 4 days during which individuals could eat what they wanted, participants apart from losing fat and weight of approx 6kg, shown 21% decrease in LDL cholesterol and 32% decrease in triglycerides. A side effect of certain fasting protocols (24, 48 hours or more) can throw your hunger hormones out of balance leaving you unresponsive to cues that tell you that you are full and should stop eating. For example, if your cells are insensitive to insulin or leptin your brain will not register satisfaction leaving you even hungrier. Bingeing is quite a common side effect that causes people to overeat once they go back to regular eating. Instead of opting for full-blown fasting, a moderate approach in which you contain your eating to 8-10 hour window, should convey benefits of intermittent fasting without suppressing your hunger hormones. Going for extended periods of time without food will activate the fight or flight sympathetic nervous system and increase cortisol secretion to mobilise energy stores. High cortisol levels can have a number of side effects like anxiety, disordered eating, insomnia. Again, protocols employing 8-10 hours eating windows should eliminate this side effect. In animal studies, female rats after two weeks of IF stopped having menstrual cycles while their ovaries shrunk, and male rats ended up with lower testosterone production. There are very few human studies that have looked at fasting for women specifically, but one study showed the change in menstrual cycles in Muslim women fasting for Ramadan, while men showed significant alterations in testosterone release. Time restricted eating model of having your food within 8-10 hour window might be an answer to preventing this side effect. While longer periods of fasting (16+ hours) for a professional athlete training twice a day or more might not be a good idea, eating only within 8-10 hour window can have its benefits. It might be difficult, if not impossible for some athletes to ingest all their calories for the day in a restricted window of 4-6 hours. On the other hand, eating within 8-10 hour window should give an athlete enough time to ingest enough calories, rip all the positive benefits, and avoid the negative effects. Although I haven’t seen any studies recording IF to show marked improvements in performance, my own experience of intermittent fasting was a huge game changer in terms of cardiovascular performance. Running in a fasted state significantly improves my running times when compared to running 1-2 hours after the meal. Remember, intermittent fasting is just another way of dietary scheduling. It’s not a diet itself. You will still need to eat the right food for optimal physical health and sports performance. Although outlined benefits of fasting can be very appealing and some people might find it easier to follow the healthy eating through this kind of diet scheduling, IF is not really better or worse than the other ways of dietary scheduling. Experimenting with your diet (Not recommended before competition) is necessary to determine the best possible performance and recovery outcomes. Keep in mind that changes can take a few weeks for the body to take effect, so you make sure you give yourself enough time to adjust to the changes. Next PostNext JEFFERSON CURL – NEVER ROUND YOUR LOWER BACK WHILE LIFTING ?